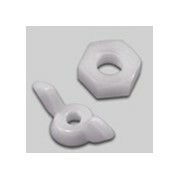 NPA Nylon Pop Rivets work just like aluminium rivets, but are made from nylon and have a polycarbonate mandrel. Nylon pop rivets offer an exciting alternative to standard aluminium or steel pop rivets, especially from an aesthetic viewpoint. 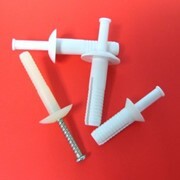 These rivets have a nylon rivet body and a clear polycarbonate mandrel, they are set in the same manner as metal pop rivets with a standard installation tool. 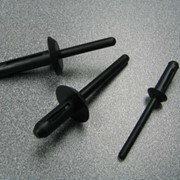 Nylon rivets offer protection from corrosion and electrical hazard, they provide good chemical resistance and are suitable for use underwater. 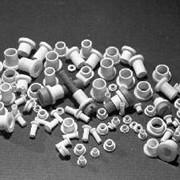 Twelve sizes are available with diameters ranging from 3.2mm to 5.6mm, the gripping range varies from 1.0mm to 11.5mm depending on type. 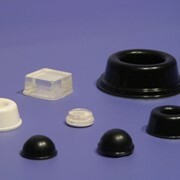 Standard colours are Black and White, they can also be supplied in Beige and Grey to order, or for large quantities can be colour matched to suit the customers' requirement. 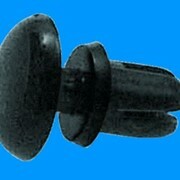 Also available are UV Proofed Nylon Pop Rivets especially treated to resist UV rays. 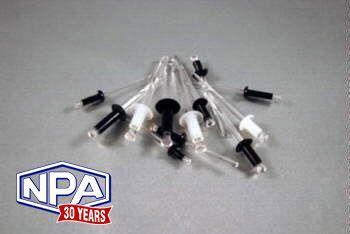 NPA stocks a full range Nylon Pop Rivets. 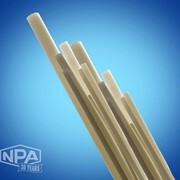 We can also provide you with FREE samples. 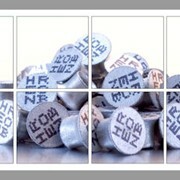 For more information please call or use the IndustrySearch enquiry for a direct reply.